I am a huge Formula 1 racing fan. I watch every race and I generally support the drivers that have been put through that mixer. Yesterday ex-Formula 1 driver Takuma Sato won the Indianapolis 500. It's the first Indianapolis 500 that I've watched since Nigel Mansell lost when he didn't realize that rules don't actually mean rules. He came out of a yellow flag according to regulations and he didn't realize he should have come out of the yellow flag as bat out of hell, like everyone else. He was in first, but after that, didn't finish in first. 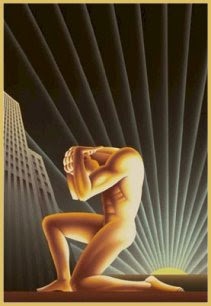 Oh and maybe also who is John Galt?